Lois A. Flood (nee Hettler), 66 of Sunnyside passed away on October 8, 2017 at her home. A native of Staten Island she graduated from Moore Catholic HS, attended Staten Island Community College where she received a BA in Education and took graduate courses at Kean University. During her lifetime she worked as a special education teacher and restaurant owner. Her great sense of humor, dynamic personality and perseverance were her most admirable qualities, recognized by all who knew her. 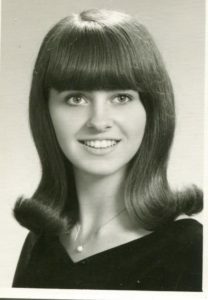 Lois enjoyed many activities such as skiing, swimming, current events, listening to John Denver, crossword puzzles and movies “based on true stories”. But her favorite time was always spending it with her grandchildren. Lois is survived by her loving daughters, Brienne Warren (James), Stefanie Cortes (Michael) and Megan Flood. Dear sister of Neil Hettler, William Hettler (Lisa), Thomas Hettler and Kim Barbaro and her adored grandchildren, James Warren, Norah and Henry Cortes. Funeral service from Cherubini McInerney Funeral Home, 1289 Forest Avenue, Staten Island, NY on Friday 10am. Mass of Christian Burial at St. Teresa R.C. Church at 10:45am followed by a burial at St. Peter’s Cemetery. Friends may call on Wednesday from 7-9pm and Thursday, 2-4pm &7-9pm. My thoughts and prayers are with the Flood family for your loss. My heartfelt sympathy in the loss of your mother. I knew her during her happy years and her unhappy years. I choose to remember her kind heart and her love for her family. She is at peace with God. Words just can’t express how heartbroken I am and very sorry for your loss. Lois was a great friend and I will treasure all the good memories and remember her fondly. I love you LAH and will miss you!